Making malted grain for beer is as old as the Pharaohs. 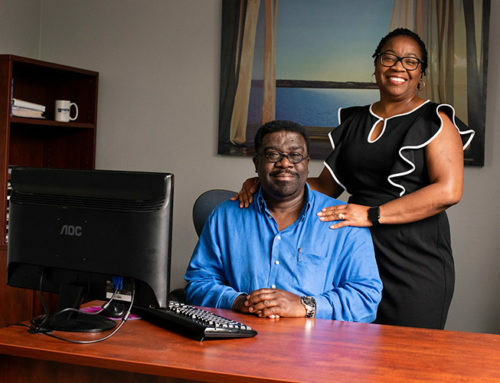 What started in the basement of a Winthrop Road home in more recent times has become a thriving business for a father-and-son team. Like the early Shakers who packaged seeds to sell to gardeners, Andrew and Craig Martahus are fulfilling a need for one of today’s growing communities. In this case, that community is craft brewers. 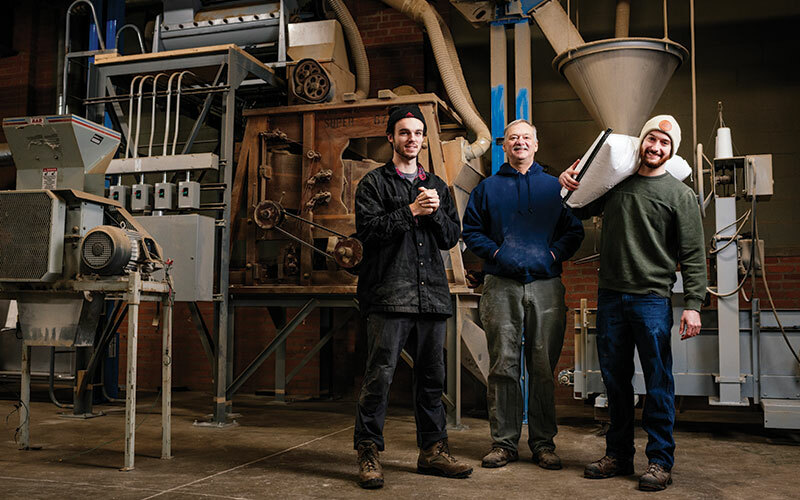 Neither father (Craig) nor son (Andrew) anticipated working together, and they couldn’t have predicted that their venture would establish the first malted grain factory in Cleveland since Prohibition, Haus Malts. When Haus Malts was incorporated in 2014, fewer than 100 craft breweries operated in Ohio. Today, that number is likely more than 300. Fifty pounds of malted grain are needed to brew a barrel of craft beer, and in 2017, about 1.35 million barrels were brewed in the state. Not surprisingly, several additional malt houses have opened in Northeast Ohio — in Marysville and Brunswick. Haus Malts’ competitive advantages are a solid business plan and early entrance into the field. Craig and Andrew liken their business plan to a three-legged stool, which is supported by sales to craft brewers (including home brewers), craft distillers, and other food makers. But their biggest market by far is the craft brew industry. Craig Martahus moved to Shaker in 1979, having graduated from the University of Pennsylvania Law School. He took a job with Thompson Hine LLP, where he practiced as a corporate attorney until his retirement in 2015. He had three children with his first wife Lin, who died in 1997. Daughter Christin graduated from Shaker Heights High School in 2007 and lives in Boston. Twins Andrew and Patrick are members of the Shaker Class of 2010. Patrick is a CPA in Chicago, and Andrew earned a degree in chemical engineering from Washington University in 2014. Andrew returned to Shaker to interview for positions in the chemical industry, and in his spare time, he began brewing beer in the basement of the family’s Winthrop Road home. He also began an intensive study of the four recipe components: hops, yeast, water, and malted grain. Eventually he planted barley and hops in the backyard and made a kiln so that he could sprout and roast his own malted grain. Andrew’s hobby piqued the interest of his father and late stepmother, Joani Hastings. After a family visit to Riverbend Malt House in Asheville, North Carolina in 2014, and subsequent meetings with farmers, craft brewers, trade associations, and other maltsters, the three became serious about opening a malt house. Father and son enrolled in two intensive malting courses. In Oswego, New York, they learned about sourcing grains and making good malt, and at the Malt Academy in Winnipeg, Canada, they acquired technical and practical information. They also credit colleagues in the Ohio Craft Brewers Association and others in the industry for help and support. Realizing that basement production was not possible for what they envisioned, the Martahuses began to look for a building that was large, located close to East- and West Side craft breweries, could accommodate truck deliveries, and would have the capacity to be retrofitted with temperature-controlled rooms for the various stages of storing, malting, and packaging grains. They found their space at 6107 Carnegie Avenue, the former home of the Smith & Oby Company, a mechanical contractor. Built in the early 1900s, the structure is about 20,000 square feet and has 16-foot ceilings. Martahus family members and friends demolished and rehabbed about half of the space. Before the arrival of the malting equipment, about a dozen Smith & Oby employees visited their former headquarters. “They still service our furnace,” says Andrew. Haus Malts took possession of its building in April 2015, and, after receiving certification from the Ohio Department of Agriculture, Craig and Andrew Martahus started malting. Their inaugural batch was completed on January 1, 2016, and their first buyer was Little Fish Brewery in Athens, Ohio. Malted grains have been used in beer since ancient times in Egypt and China. 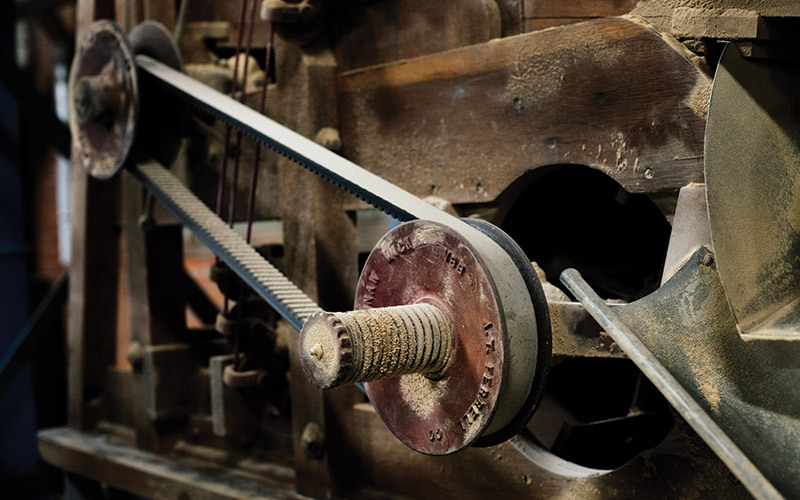 While it is now assisted by technology, malting flourishes under the human touch. 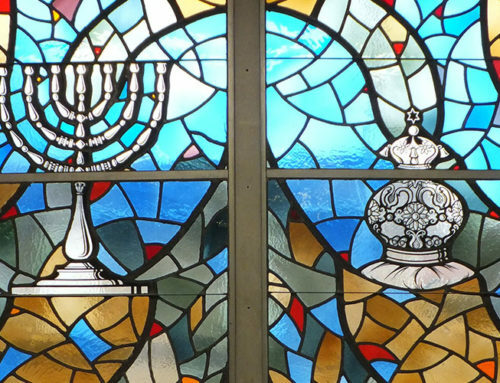 For Andrew and his father, it is labor intensive, personal, and physically and mentally challenging. Haus Malts sources all of its grain from Ohio, and uses barley, wheat, rye, oats, triticale (a combination of rye and wheat), spelt, and emmer. At first, Craig and Andrew were concerned that they wouldn’t be able to develop a network of Ohio growers, because farmers had been planting barley for feed only. But they learned that winter barley can be sown in September and, if it survives the winter, harvested in late June. Then a second crop of soybeans can be rotated into the same soil. “Farmers were lining up to plant for us because they could double crop,” explains Craig. Haus Malts also enables farmers to know who buys their grains, how they are used, and how good they are. Haus Malts returns the unusable grain to the agricultural community. Rootlets from the germinated grain, broken husks, and grain debris are sent to a sheep farmer in Lorain County. During germination, kernels must be turned by hand twice daily to keep them aerated and separated. Malting converts cereal grains into malt via a process of soaking, germinating, drying, and roasting. The chemical reaction activates certain enzymes in the grain that break down its proteins and modify its starches into sugars that react with yeast. At Haus Malts, this translates into two days to steep two-ton batches of grain, four days for it to sprout, a day and a half in the kiln for drying and roasting, and another half day for final preparations and packaging. Of course each stage involves additional steps: the soaking grain must be drained and re-steeped several times; during germination, the kernels must be turned by hand twice daily to keep them aerated and separated; and the rootlets must be removed. In other words, something is happening every day at Haus Malts, and someone needs to be there to ensure that all’s well. Before taking their giant step, father and son did a feasibility study as well as their business plan. They believe what they do links Ohio’s largest industry — agriculture — with a fast-growing industry segment — craft brewing. Haus Malts provides the connection, and “it’s a fun place to be,” Craig says. Another example of the connection between Haus Malts and local craft brewers is a willingness to experiment. “Each grain steeps, germinates, and acts differently,” says Andrew. The deeper, richer, and fuller body and taste in craft beer are due to the quality of the malted grain, which is also responsible for a beer’s infinite variety of characteristics. By working on a smaller scale with brewers who want to differentiate themselves from their competition, Andrew and Craig are learning more about how the malting process influences the quality of the brews. That said, they are cautious regarding safety issues. While brewing involves heating, boiling, and filtering, baking doesn’t have similar built-in processes that kill bacteria. Andrew says that he “doesn’t even like to see high levels of good bacteria in the malted grains,” and that they will ensure numerous measures of safety before selling into the food market. This caution speaks to the personal relationships Haus Malts has developed with its grain suppliers, brewers, and other colleagues in the craft brewing and distilling industries. Maltsters interact with the grains multiple times a day. Andrew knows by touch and/or smell if something is awry. 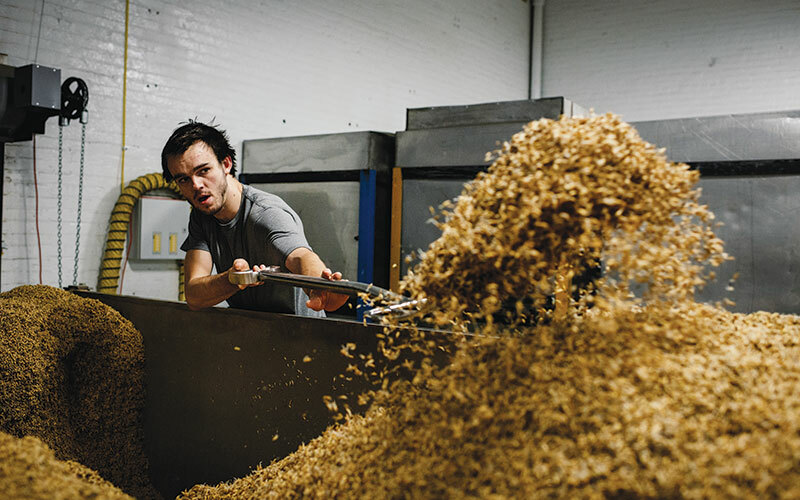 This is backed up by various sensors, thermometers, timers, and meticulous record keeping, but over time, Andrew and his father have developed a sense of what makes a good malted grain, and have confidence in their own judgement. And as for home brewers, Andrew says, “We couldn’t survive without them.” He is a member of several home brew clubs, and Haus Malts invites some of the brewers to test its newer products and sponsors competitions that encourage creativity. One of those relationships is between Haus Malts and BottleHouse Brewery and Meadery, a Cleveland-based craft brewer. BottleHouse was an early Haus Malts customer. Jason Kallicragas of Bottlehouse says Andrew started visiting the brewery well before Haus Malts opened, asking a lot of questions. 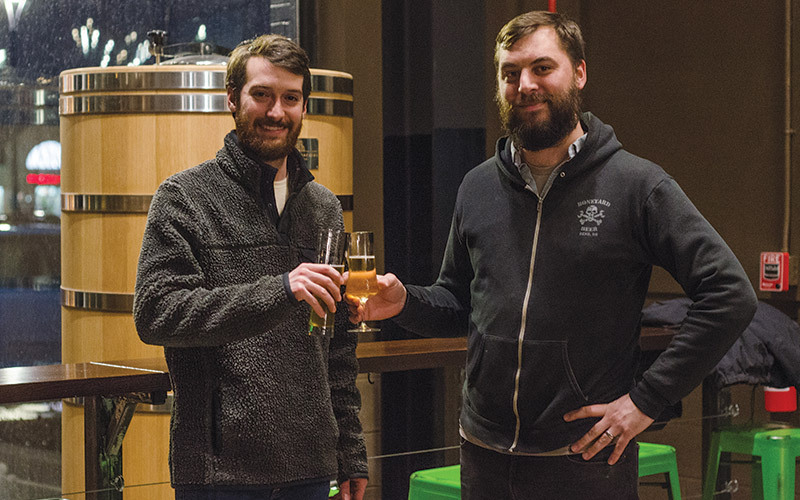 Andrew Martahus, left, raises a glass with Jason Kallicragas of BottleHouse. Photo by Dominic Sberna. Kallicragas says the “strangest beer we made with them recently was about one-third malted millet, one-third malted spelt, and one-third malted wheat. It was a horrible brew day, stirring a 100-pound pot of ‘oatmeal’ for six hours. But it turned out well, and we named it Grisette because it reminded us of an extinct style of brewing from Northern France.” Haus Malts also makes malted grains for Kallicragas’s sour beer, which is aged in oak barrels for one to three years. “It’s always good to work with them. 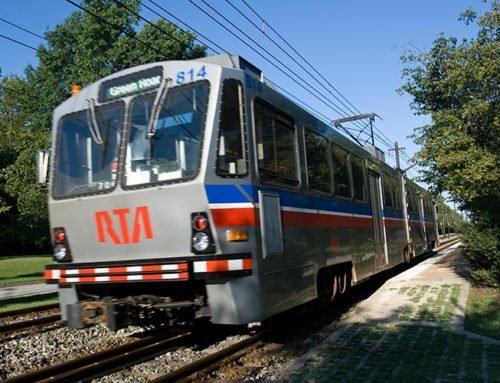 We love what they are doing for the City,” Kallicragas says. Shaker residents welcomed the BottleHouse operation to the Van Aken District in February. Known as Craft Collective and located inside the Market Hall, it showcases beer by other small area breweries, along with BottleHouse’s own offerings. Kallicragas points out that many of the other brewers they plan to include at Craft Collective are also customers of Haus Malts, so the opportunity to compare and contrast will be even more interesting. Perhaps Andrew and Craig Martahus were at the right place at the right time. Or maybe they saw an opportunity before others did. It’s also possible that they made their own luck through study, hard work, discipline, and faith. Whatever the combination, Haus Malts has developed a reputation for high standards, personal service, and creativity. The Martahus team is truly a Shaker original. Photos by Angelo Merendino. Originally published in Shaker Life, Spring 2019.